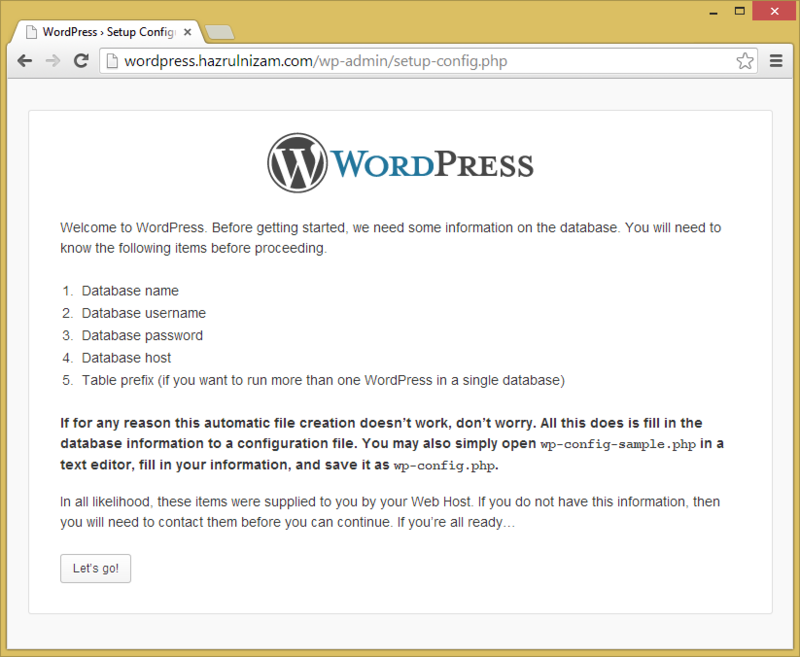 The purpose of this post is to document the steps to set up WordPress on a server. 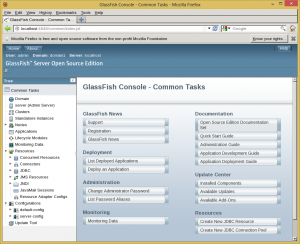 The server operating system is going to be CentOS which currently is my preferred server operating system. 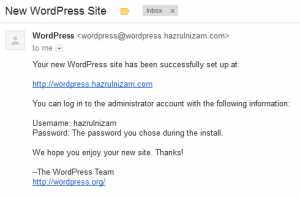 The final objective is to have a WordPress website accessible via wordpress.hazrulnizam.com. 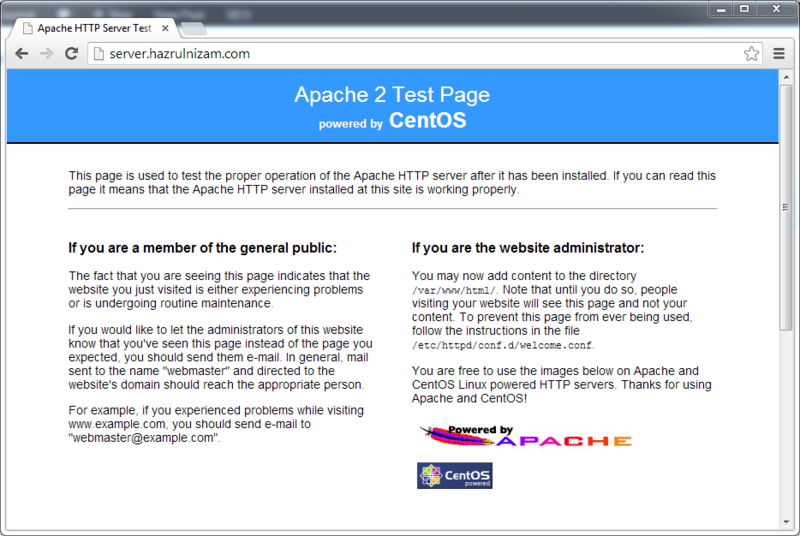 First of all, the latest version of CentOS, which is 6.4, is installed on the server and the server is given the hostname server.hazrulnizam.com. 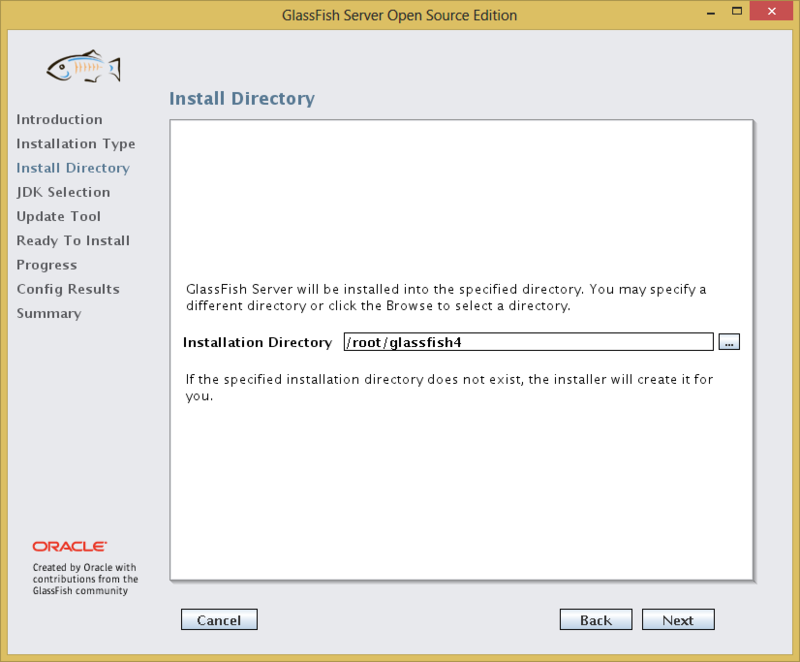 A minimal install is chosen to prevent unwanted programs to be installed, which can both be a security risk and a waste of disk space. A non-root user is then created. 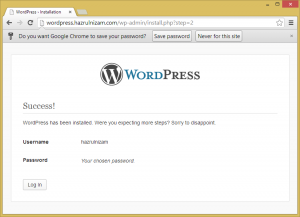 Changing password for user hnizam. This user is then given sudo permissions. This user is going to be used for all subsequent commands, to limit exposure on the root account. 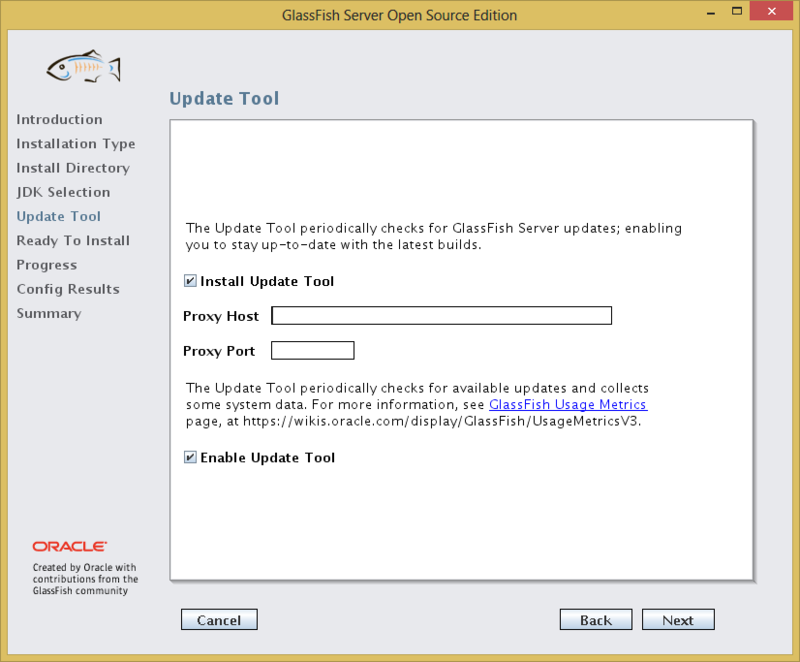 The OS is then updated to the latest version. To enable pretty permalinks, the Apache module mod_rewrite is needed. 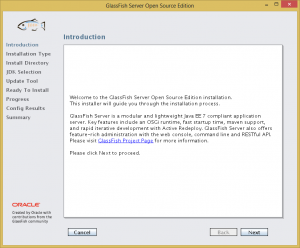 Apache is being chosen as the web server for this particular case as it is one of the earliest web servers and also one of the most used web server software. 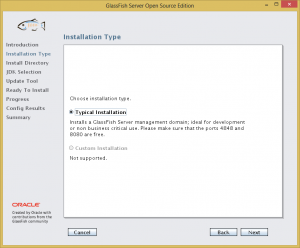 The package group feature of the yum package manager is used to install the Apache web server software. 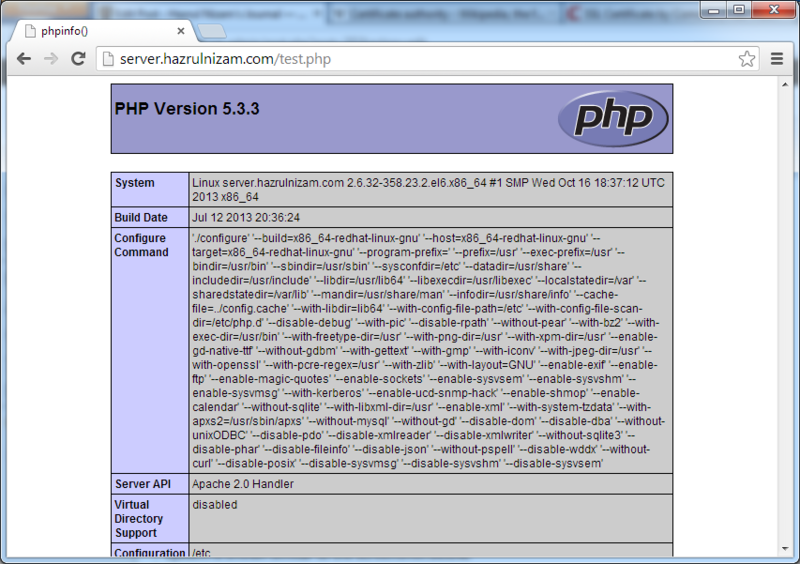 [hnizam@server ~]$ sudo yum groupinstall "Web Server"
The Apache web server is installed as the httpd service. The chkconfig command is used to enable the httpd service at server boot-up. Next, the Apache web server is started, and the ports used by the web server (port 80 for http and port 443 for https) is opened at the firewall to enable the web server to be accessed by the public. At this point, the URLs http://server.hazrulnizam.com and https://server.hazrulnizam.com should be accessible, and the default CentOS Apache welcome page is shown when these URLs are opened in a browser. 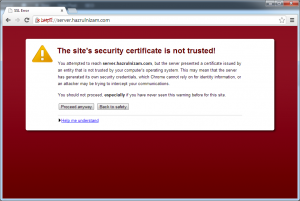 For the https page, the browser will show a certificate error, because the SSL certificate used by the default Apache installation is a self-signed certificate based on the hostname of the system. 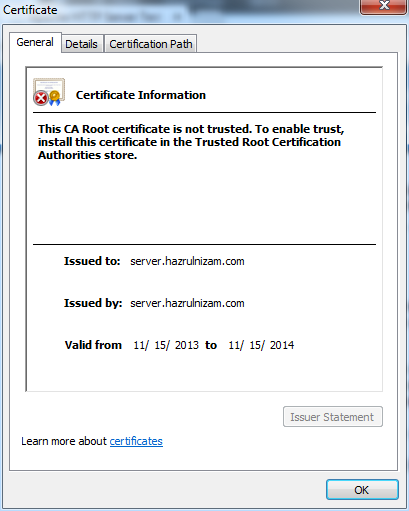 The details of the self-signed certificate is shown when the padlock with the red cross is clicked and then ‘Certificate information’ is clicked. Notice that the ‘Issued to:’ and ‘Issued by:’ fields are the same, which confirms that it is a self-signed certificate. 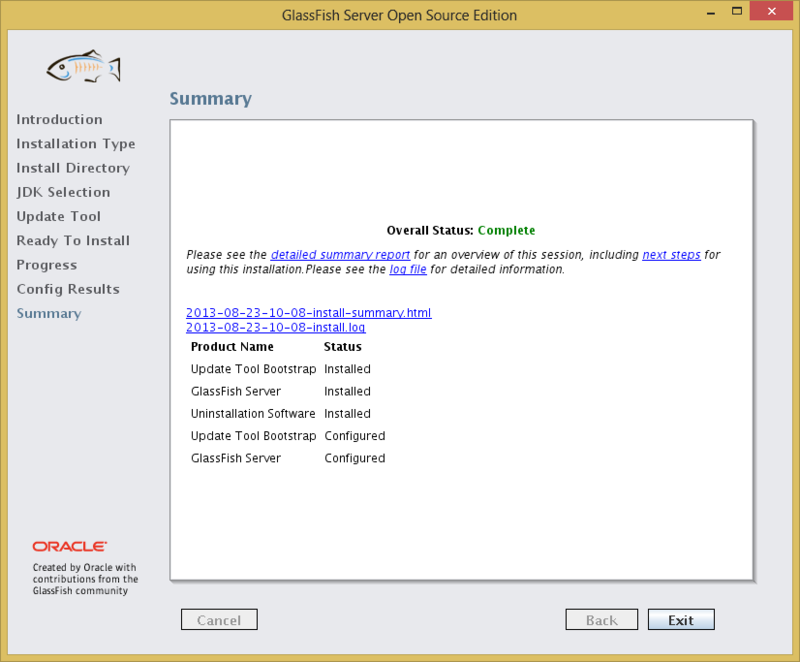 Now that the web server has been successfully installed, it is time to install the database server. 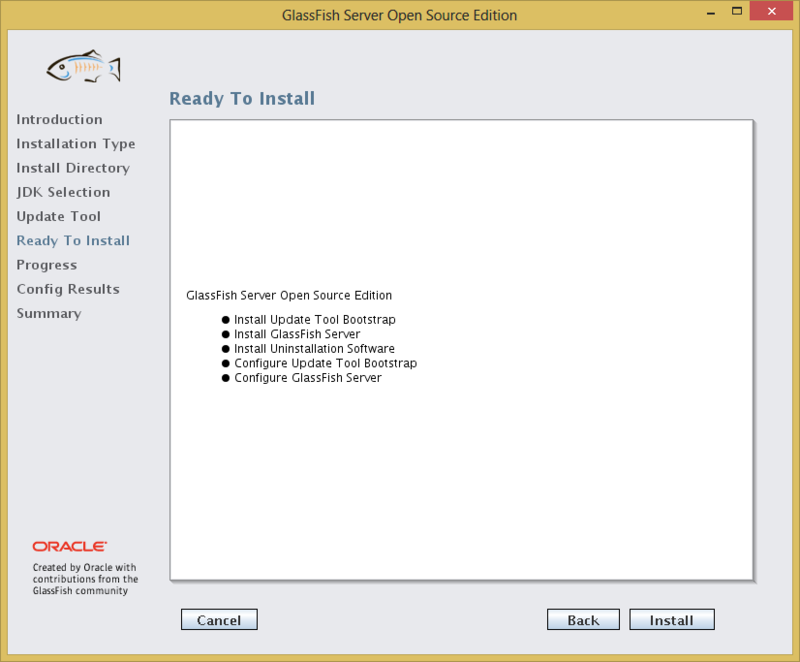 The method used to install MySQL is the same as the method used to install Apache, which is via yum. [hnizam@server ~]$ sudo yum groupinstall "MySQL Database server"
The MySQL database server is installed as the mysqld service. 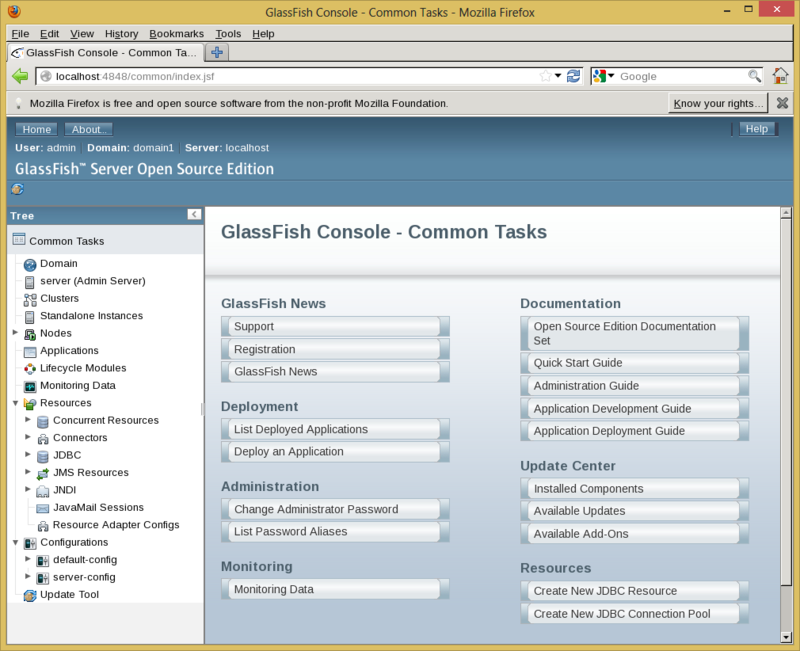 The chkconfig command is used to enable the mysqld service at server boot-up. 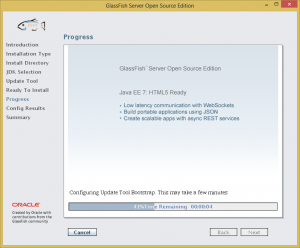 Next, the mysqld service is started for the first time. 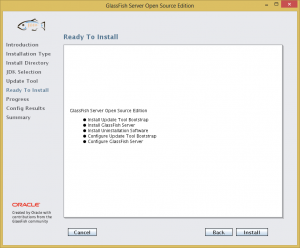 Now that the MySQL database server is installed and running, it is time to run the secure installation command as per advised by the MySQL first-time-start script. 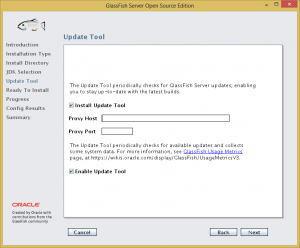 The command offers to change the MySQL root password, remove anonymous user access to the MySQL database, and several other changes to help secure the database. 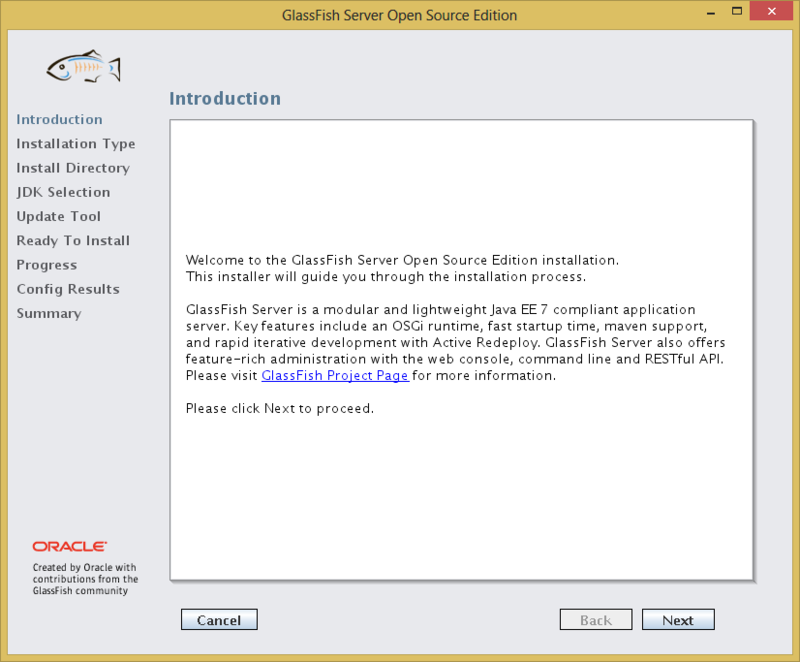 The next step is to install the PHP interpreter. Install the PHP interpreter software. 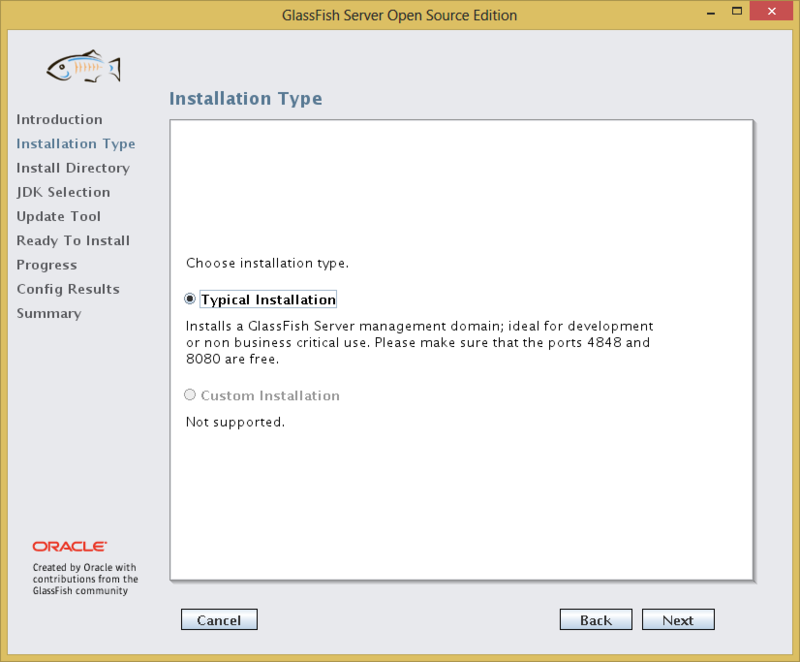 Same as previously, the yum package manager is used to perform the installation. [hnizam@server ~]$ sudo yum groupinstall "PHP Support"
To be able to set up WordPress properly, the PHP-MySQL extension must also be installed. 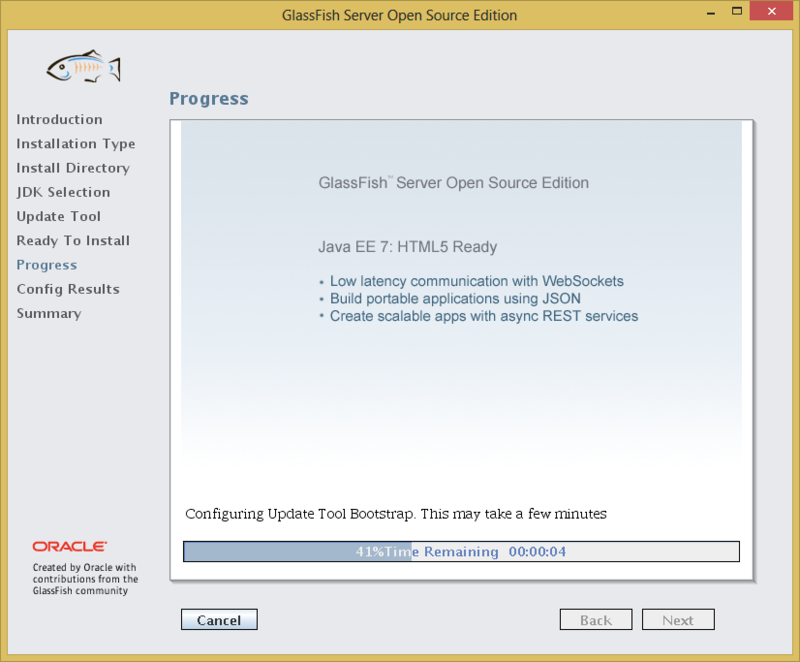 To test whether the PHP interpreter is working correctly, first the web server needs to be restarted. Next, a test file containing the phpinfo() function is created in the web server root directory. Now when the browser is set to http://server.hazrulnizam.com/test.php or https://server.hazrulnizam.com/test.php, a page with a lot of details about the system is shown similar to the screenshot below. 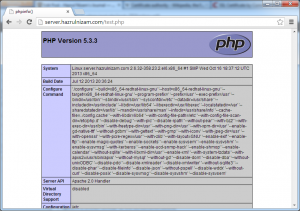 This indicates that the PHP installation is successful and that the PHP interpreter is working correctly with the web server. The test file is then deleted. 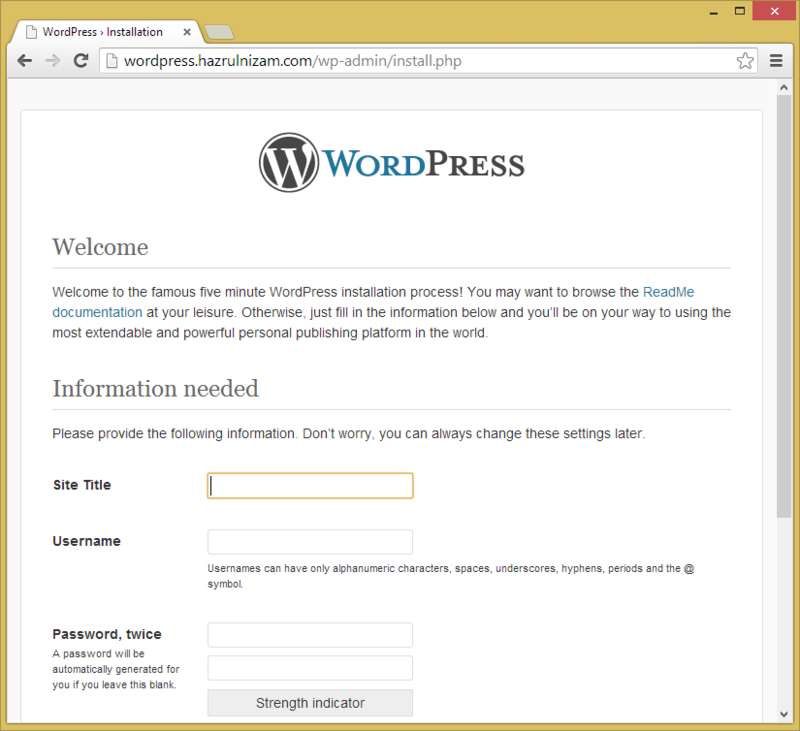 With all the prerequisites now installed, it is time to install and set up WordPress itself, using the installation guide from the WordPress.org website. A new database is created inside the installed MySQL database server to be used by WordPress and a new database user that owns the privileges to the new database is also created. 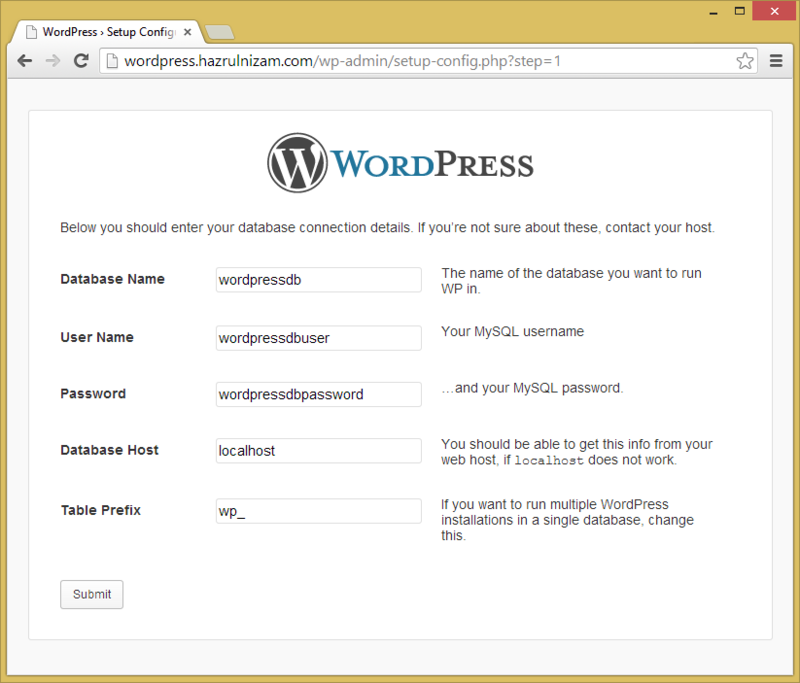 The above commands create a database named wordpressdb and a user named wordpressdbuser whose password is wordpressdbpassword. 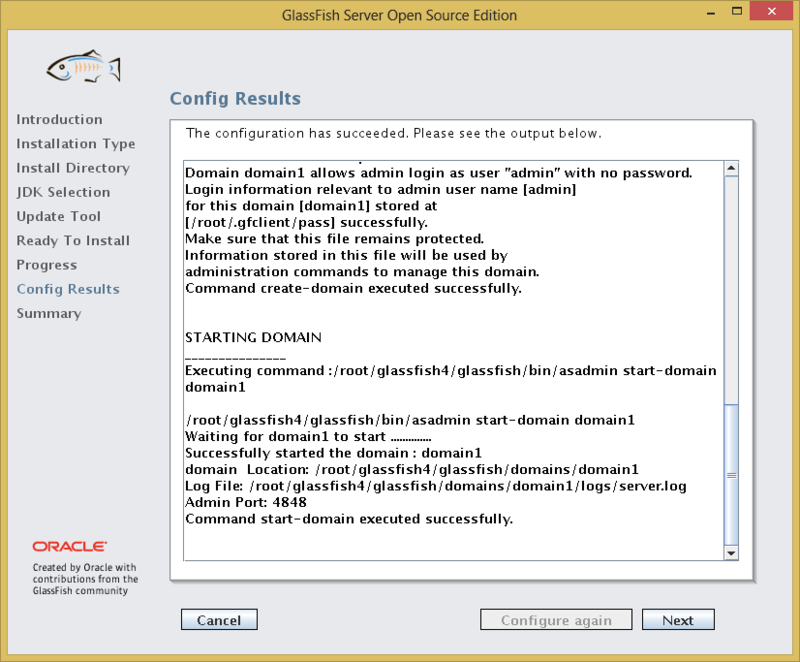 Any other names can be used for the database, username, and password if desired. The latest version of the WordPress software is downloaded to the server using wget and then extracted using the tar command. The above commands result in an extracted folder named wordpress which contains the WordPress software. The extracted folder is then copied into /var/www/ folder to ensure that the SELinux contexts are properly set for Apache web server. The WordPress site will be served by Apache from this location. Moving the folder using the mv command will preserve the SELinux contexts from the original location which is not what is desired. Therefore, the folder is copied using the cp command. Next, the owner of the WordPress folder is changed to the Apache user to enable the Apache web server to read and write to that folder. 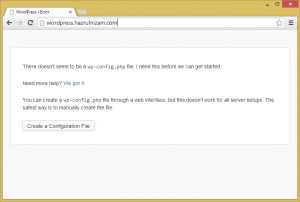 The Apache web server needs to be configured to make it use the directory above when a browser asks for http://wordpress.hazrulnizam.com or https://wordpress.hazrulnizam.com. First, the httpd.conf file is modified. 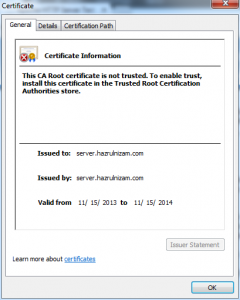 Next, the SSL key and certificate for the https site are generated. The generated key and certificate are then copied to their proper destinations to apply correct SELinux contexts on them. 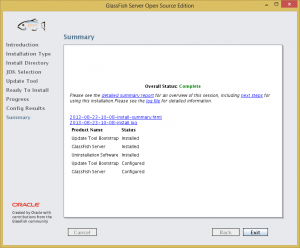 The read permissions are modified so that only the root user has access to them. Next, the virtual host configuration is added to the Apache SSL configuration file. 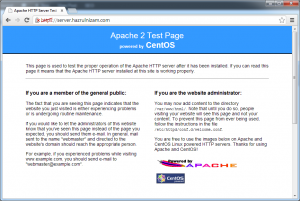 The Apache web server is then restarted to load the new configurations. Notice that there is a prompt for the passphrase of the private key when Apache is starting up. This passphrase is going to be asked every time the Apache web server is started, including during server restarts. This can be avoided by using a private key that is not protected by a pass phrase (do not use the -des3 flag when creating the key using the openssl genrsa command). However, care must be taken to protect the key from being accessed by anyone else. This shows that Apache is correctly reading the WordPress files and together with the PHP interpreter is serving out dynamic PHP pages to the browser. 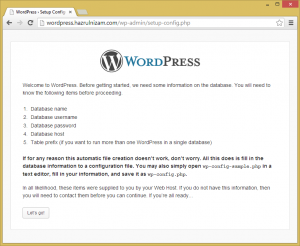 Before proceeding with the final step of WordPress installation, SELinux needs to be configured to allow WordPress to send emails out from the system. There are a few events that triggers WordPress to send notification emails such as when a new comment has been posted to a post. The setsebool command is used to change the corresponding SELinux boolean to allow Apache, and in turn WordPress, to send out emails. 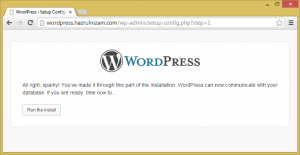 The final step of installing WordPress involves creating a WordPress configuration file. 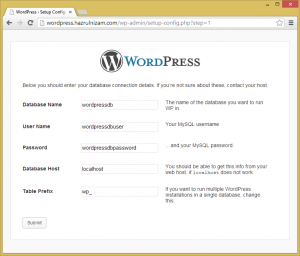 This configuration file can either be manually created at the server, or can be created by WordPress itself via the browser. This post will continue via the browser method as all the prerequisites to make it successful has been performed above. 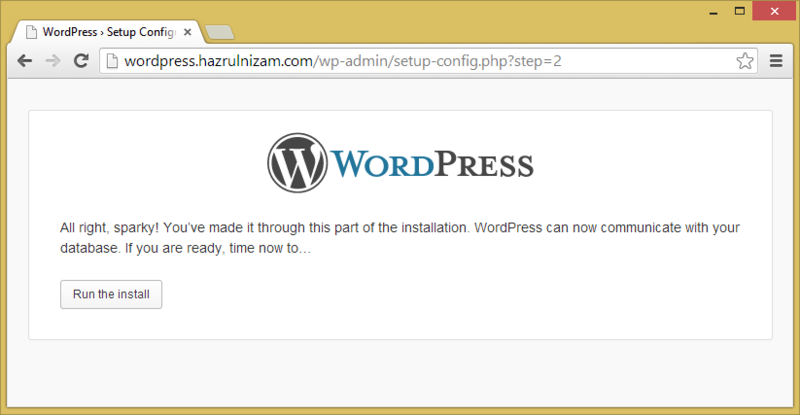 The URL http://wordpress.hazrulnizam.com is entered in the browser address bar. 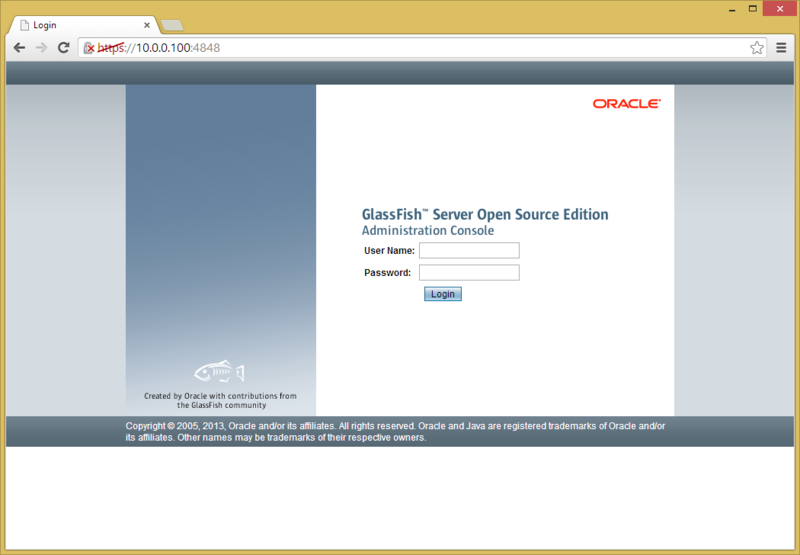 The ‘Create a Configuration File’ button is then clicked. 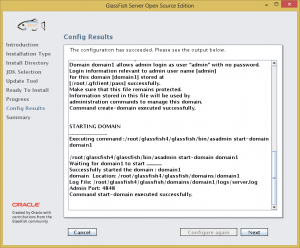 The next page shows that several information is needed to complete the installation such as database name, database username, database password, and database host. 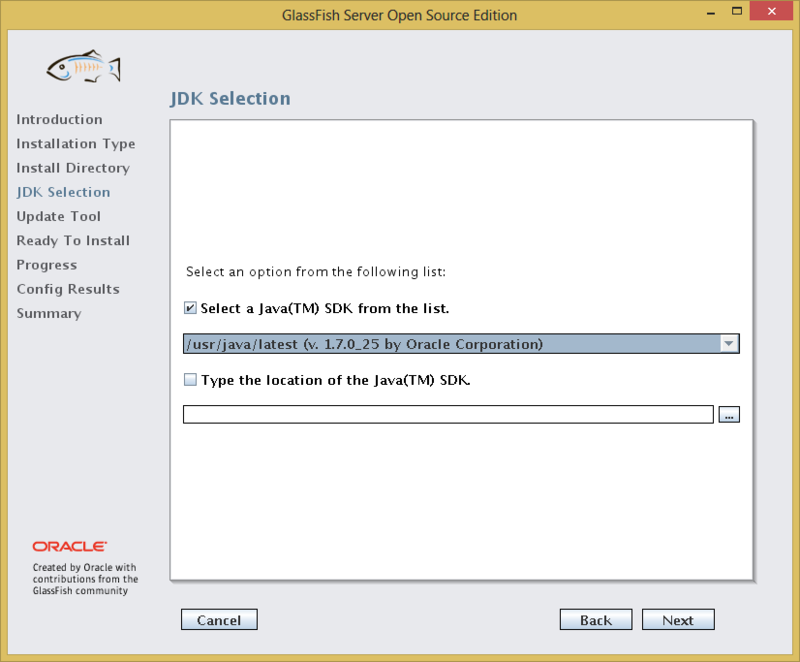 The corresponding information are the one used in the ‘Create the database and database user’ section above. The ‘Let’s go’ button is then clicked. The Database Name is changed to wordpressdb, while User Name is changed to wordpressdbuser and Password is changed to wordpressdbpassword. 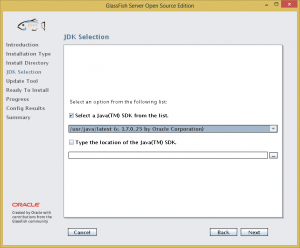 The Database Host and Table Prefix fields are left at the default values. The page is then submitted. WordPress is now communicating correctly with the database. The ‘Run the install’ button is then clicked. On this page, the Site Title, Username, Password and email address will have to be provided. 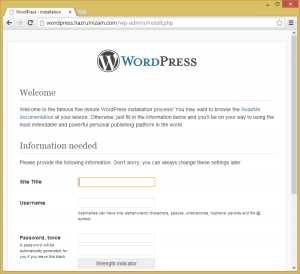 The Site Title will be the title shown when the WordPress site is accessed once it is installed. The Username and Password are different than the database username and password. This will be the username that will be used to log in to the WordPress administration pages. Once all the required fields are filled in and the ‘Install WordPress’ button pressed, the WordPress installation is completed and the website is now usable. 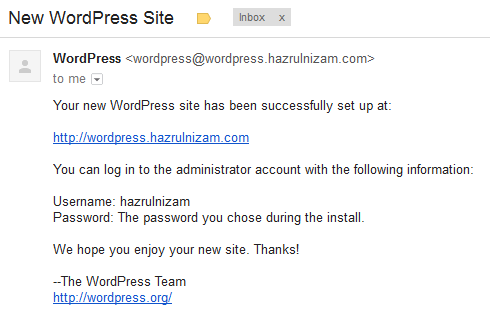 An email about the new WordPress website will also be sent to the email address specified on the install page. 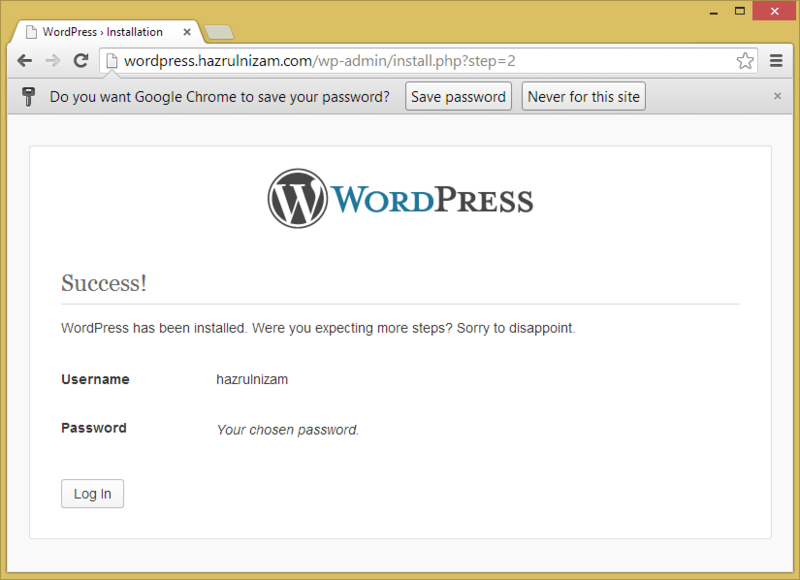 This marks the end of the WordPress install. The WordPress website is now working, but when you click ‘Log in’ from the main page, it will bring you to the http version of the login page. The username and password that you type will be sent in clear-text through the internet, making them vulnerable to anyone who would want to steal your password. WordPress has a built-in feature to force logins and/or the administration pages to be served via https instead of http. 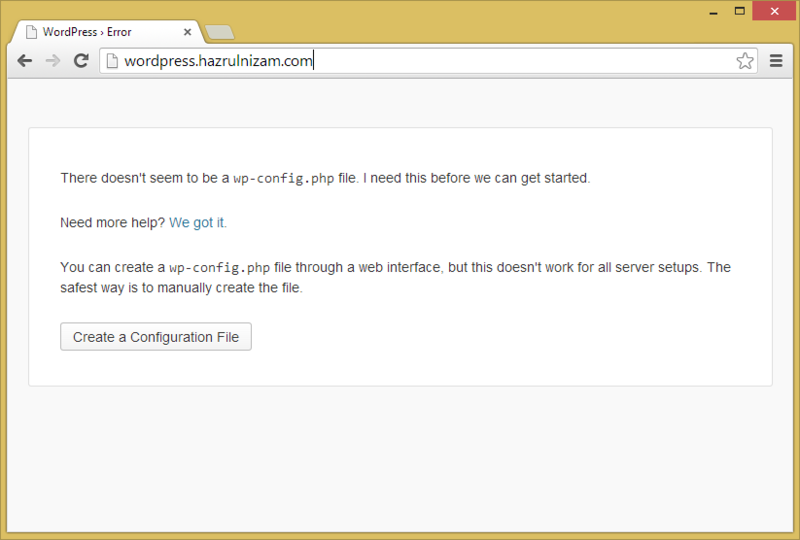 To enable this, edit the WordPress config file and add the following line near the end. You can use FORCE_SSL_LOGIN instead of FORCE_SSL_ADMIN if you just want to protect the login page. The administration pages will not be served via https unless you specifically asks for the https protocol via the browser. One of the first things that should be done after a WordPress install is to enable pretty permalinks. The word-based URL will help the website to rank higher in search engine results compared to the default post ID URL. Just go to the Settings > Permalinks via the administration pages, and choose Postname-based permalinks instead of the default. If you followed the install steps above, pretty permalinks should work correctly. One of the great things about WordPress is the abundance of plugins and themes that exist in the ecosystem. Use them to customize the website and to help in managing the website.